The Drake Interplanetary Herald. The name rolls off the tongue with an impressive flair. I have visions of this baby dancing around in my head, thinking it might be hangar-ready in Star Citizen Alpha 2.5. Let’s discuss this small ship that has a big place in my heart. Most players would likely agree, that the Herald isn’t the prettiest or sleekest ship in the ‘verse. Some consider it downright ugly. For me, it falls into the so quirky that it’s cute category. I find it attractive in a crooked smile kinda way. And although I preferred the original asymmetrical design, I’m not bothered by the change in direction. Those were concept images. This is alpha. The only certainty we have right now is change. For many citizens, the name Drake Interplanetary conjures up images of ships whose silhouettes don’t look aerodynamically balanced. And the ne’er-do-wells and criminals flying them. Pirates! Drake hasn’t helped change this perception by naming its ships things like Cutlass and Buccaneer. Drake’s keystone design is the Drake Interplanetary AS-1, the Cutlass. According the lore, Cutlasses are incredibly inexpensive and for that reason, they’re used across the galaxy for thousands of different roles. From search and rescue ambulances, to mining prospector conversions, to short hop food transports. The modular nature of the Cutlass means it can be anything to anyone. Including those skirting the law. We haven’t seen this physically play out yet but if it’s a glimpse into the future modules it can support – wow! The original concept sale for the Herald was November 2014. The Herald is a small armored ship, designed to safely deliver information from one place to the next. Its speed will rival racers but it won’t have the same nimble handling. It has a powerful central engine to support advanced data encryption. It also sports data protection systems, redundant power subsystems, EMP shielding and high capacity broadcast arrays for data transmission. In a nutshell, it’s designed to acquire rare data, encrypt/protect it, escape with said data and/or transmit it to your cohorts. As a fallback, it has a quick method to clear your drives of evidence, in case you get caught in the act. The Herald is classified has Info Runner. It’s 23 meters in length and weighs 18 thousand kilograms. It’s a small ship but supports two crew stations. For hardpoints it’s configured with three S1 gimbal mounts, one S3 shield and one additional equipment mount to be used at your discretion. The current width of the Herald is larger than the earlier designs. CIG realized that two people couldn’t reasonably move around in the cabin to access the planned workstations so the size was increased. Nothing like getting more for your money! On the surface, the Herald represents a significant advance in interstellar data transfer… but as we Drake team members know, its long-term implications for data interception, stream interruption and even outright piracy are enormous. I’m proud of everything we’ve accomplished, and now I can’t wait to see this baby fly! You can’t escape noticing that INFORMATION PIRACY is mentioned as an important capability of this ship. As such, I find it surprising that players who openly discuss wanting to be pirates, rarely if ever, mention owning a Herald. There will be more to steal in the ‘verse than physical items, whose theft requires incapacitating and successfully boarding the targeted ship. Plus you need cargo space in order to make off with your goods. Stealing information doesn’t require boarding or physical cargo that has to be transported away from the scene of the crime. *Wink* I have no intention of being a pirate but see nothing wrong with pilfering intel. In August of 2015, CIG published a design document discussing their plans for implementing Electronic Warfare, often abbreviated to EWAR. Let’s review the portion of the Star Citizen EWAR Design Document that speaks to capabilities we can expect to see incorporated into the Herald, as an interceptor of information. The Drake Herald is an information runner, but includes a dedicated e-war suite, which includes the ability to scan. Scanning is the tracking or gathering of information based off of the three main signature outputs: Infrared, Electromagnetic and Cross-section. Every ship has a suite of default systems that give it basic operational functionality. Our radar systems uses IR, EM, or radio waves to determine the range, angle, and velocity of objects. Standard operating mode for radar systems is omnidirectional. However, players with the right equipment can change the focus of their unit. Changing the focus increases the transmit power, but reduces the area in which targets can be located. Passive – The player is letting information come to them versus actively searching for the information (in essence listening). This emits a much smaller signature. 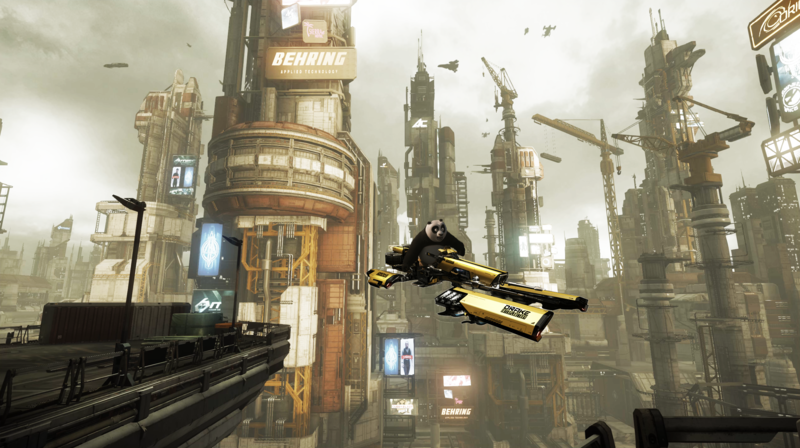 Active – The player’s ship is actively looking for information around their ship. This emits a much higher signature. In passive scanning, the range and detection type is based off of the radar component that your ship has installed. Any potentially targetable object within your ship’s radar zone will show up as different contact states, discussed in the detailed design doc. This feature will emit a signature when turned on. It will be up to the player to choose if they want scans to run constantly or enabled during certain times. Multi-crew ships can assign this as a full-time task to a radar officer; allowing them to balance scanning systems with the ship’s signature output. To stay safe from incoming hacking and electronic warfare attacks, pilots will need to outfit their ships and flight-suits with appropriate countermeasures. Electronic defenses require less specialized equipment than their offensive counterparts, and while this does favor defenders to an extent, they can still be met with multiple attacks and overwhelmed. This is just the tip of the iceberg for Electronic Warfare. Please read the full design document for more details. Including the defensive mechanics players will have at their disposal to minimize and/or negate, the offensive effectiveness of EWAR attacks. Understanding that the Herald was designed to intercept data, a fancy way of saying steal, I can easily imagine data theft as part of game play. I envision opportunities to hijack information from ship systems, structures with data storage capabilities and possibly even mobi devices. There could be a mission to “borrow” some data from Tessa at the ICC Scan Hub. Or hijack criminal records from Kareah. Possibly even clear the records from the Kareah database. Thinking of scenarios such as these, we could potentially see Herald specific missions sooner than professions that require CIG to deploy new objects into the Crusader alongside the ship. Cargo hauling and mining come to mind. Both necessitate new objects and other mechanics exist before the ship’s capability can be tested. I’m sure it’s wishful thinking on my part but I won’t be surprised if we see the Herald’s profession come into the alpha next. EWAR capabilities can also produce missions. I’m down to run around disabling ship subsystems similar the Avenger Warlock. Except in this case, I imagine it’s more localized versus an area of effect pulse. Easy missions could come for ICC Scan Hub to fly to a location and disable a pirate vessel versus arriving and fighting them. Go to a location and eavesdrop on what’s being said. I’m very excited about the amount of detailed gameplay being enabled in even small ships. The only good Drake ship is a melted Drake ship. 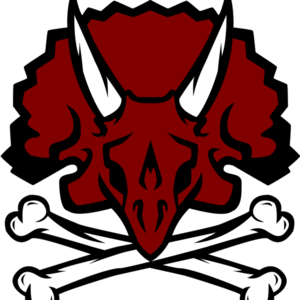 [QUOTE="zeus_anoxia, post: 4382, member: 65"]The only good Drake ship is a melted Drake ship. He's (F)lying. Zeus is secret Drake lover. I have proof. [USER=667]@eippohcs[/USER], I was going to go on a rant again but I can't even be mad, that pic is epic. A bit of an update. In June's monthly report it has been stated that the Herald has finished final art, so I expect it to be hanger ready by the end of 2.6. Welcome to the New Redacted.tv! Star Citizen 2018 Roadmap Released! Star Citizen Alpha 3.0 is Live!